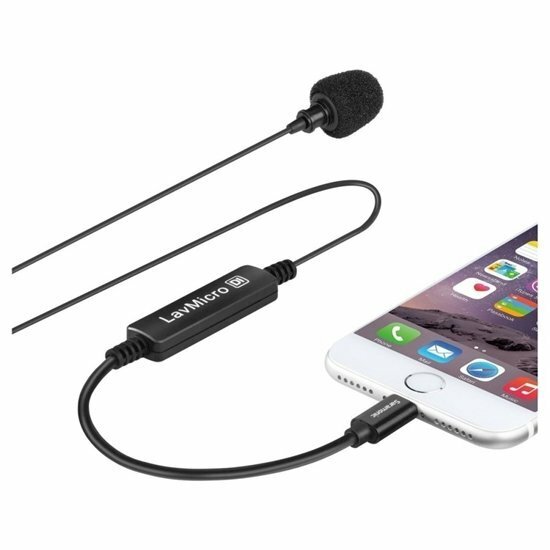 The Saramonic LavMicro Di is a lapel microphone that specially designed for Apple iOS devices. It allows you to record real stereo audio to your Apple iOS devices and transmits the signal via an Apple Lightning Interface. The Saramonic LavMicro Di is a lapel microphone that specially designed for Apple iOS devices. It allows you to record real stereo audio to your Apple iOS devices and transmits the signal via an Apple Lightning Interface. It is compatible with all video or audio recording Apps and is suitable for anyone who wants a professional and compact setup to record interviews, presentations, podcasts or meeting directly to their phone.